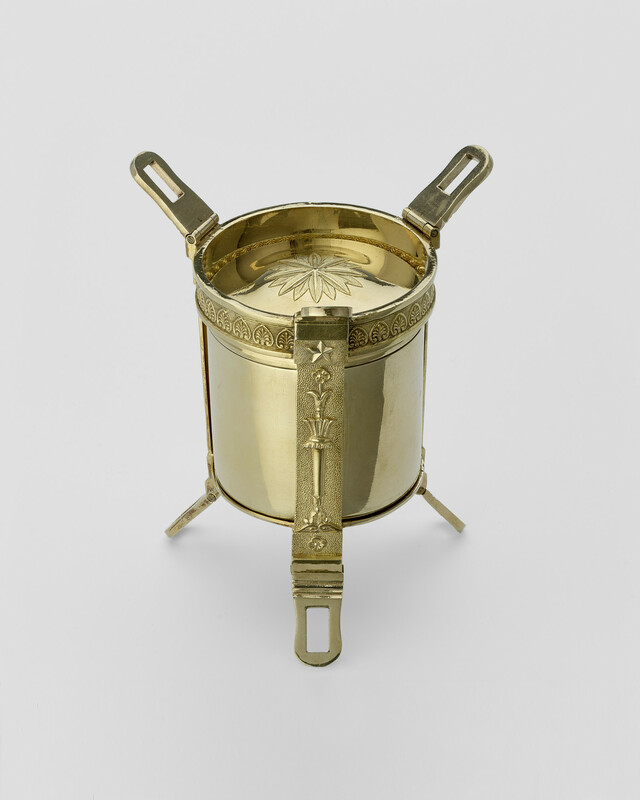 Cylindrical silver gilt spirit burner. Domed cover embossed with a rosette of foliage and border of swags; fitted with a detachable funnel/wick holder. Housed in a silver gilt case formed from two circular bands and three uprights, hinged at either end and cast with torches.